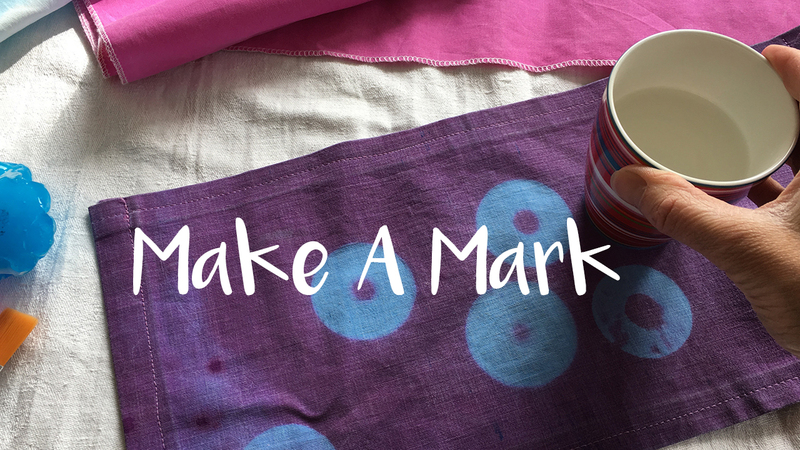 “MAKE A MARK” is a playful project in which I experiment and explore different colour-changing materials. Different chromatic materials are examined with an open perspective. What patterns and imprints can you create, how can you create them? In the video above, patterns on thermochromic (heat-sensitive) fabrics using hot and cold objects. Patterns are created and disappeared, new patterns are created and disappeared … what would you choose to create for a game of color? My Smart Textile Workshops for children and young people are based on experiments and textiles created within the framework of the Make A Mark project.